Project Around the World has taken us to Alaska, through Canada, and now we are spending time in The Big Apple, New York City. 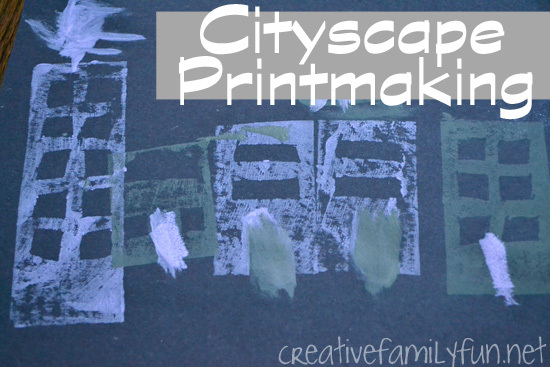 We’ll be exploring the Statue of Liberty, the subway system, Broadway, and The Museum of Modern Art, but first we wanted to pay homage to the streets of New York with a fun printmaking project. The first part of our project was making the stamps. We cut simple rectangles out of craft foam. A thicker craft foam works better, but just use what you have. 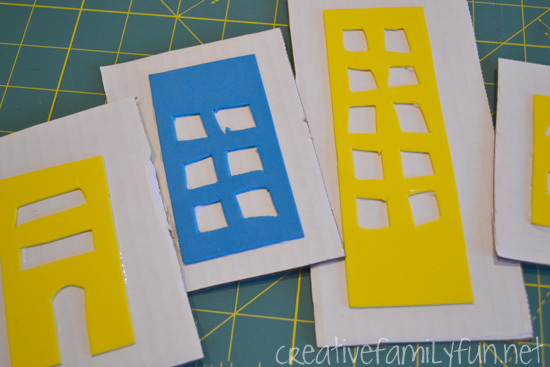 A grown-up will want to tackle the windows; I used a sharp paper cutter to slice ours. The shapes don’t have to be perfect or intricate. In fact, our imperfections are what made the project turn out so well. Once we had our buildings cut out, we glued them onto heavy cardboard. We recycled a shipping box for our stamps; it was the perfect weight. After the glue dried, we started stamping. 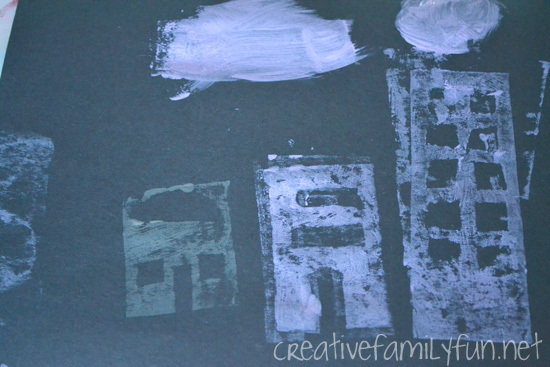 We used gray and lilac paint to try and mimic the look of a city at night. 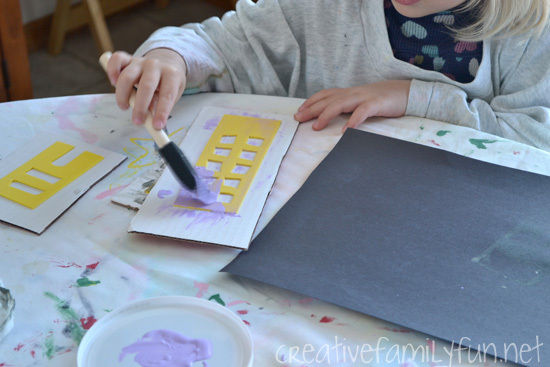 The girls brushed an even coat of paint on a stamp, then gently pressed it down on their paper. They were amazed at how great their buildings looked. They then got to work making a city. 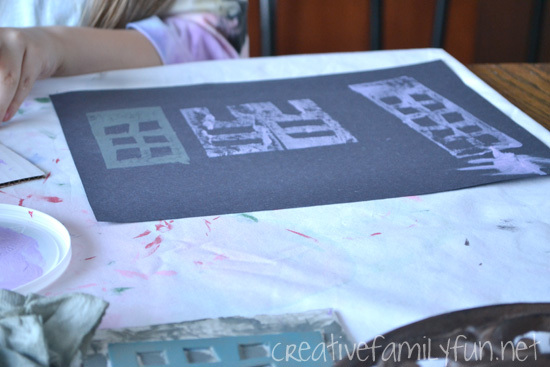 Once they were done printing, the girls added a few details such as a street, doorways, and clouds. Lizzie even added the weather star on the top of one of her tallest buildings after we read about it in a book. I love how our cityscapes turned out and I know we’re going to have great fun exploring New York. One of these days, I hope to actually get to visit New York, but until then, we’re enjoying our virtual trip. Hope you come along with us! Have you ever been to New York City? What it your favorite place to visit there?